You'll notice the initials "DAS" after my name. This stands for "Disease Avoidance Specialist". Although an accurate description of what I am, professionally, I did not dream up this title. When trying to answer the question, "What do you do for a living?" I was struggling to find a short 'n sweet description; something that would sum up my vocation. Being that I had no formal training and thus didn't have a degree in anything, this was a challenge. A close friend  someone who knows me well and is very familiar with my work  suggested the title of "Disease Avoidance Specialist." Perfect! You feel ill, so you go see someone to help figure out what's wrong, and because they have "MD" after their name, you feel comfortable that you will be helped in as best a manner as possible. After your test results come back, you receive a diagnosis of Type 2 Diabetes. You ask what can be done to get rid of it, and you are told there is currently nothing that can reverse the diabetes that you have, and the best thing that can be done is to manage it as best as possible (and that fundraising to find the cure is ongoing, so there is always hope). Because of this disheartening information, you wisely seek a second opinion from another MD, this time one who specializes in diabetes (endocrinologist), and are told the same thing. You are then referred to a certified diabetes educator (who verifies what you've been told). You share with a group of friends that you loathe the idea of being on meds for the rest of your life, and possibly having to deal with the negative side-effects of diabetes. A trusted friend offers, "This book helped me resolve a condition I had that the doctors couldn't help me with, and it does mention diabetes in it... maybe it can help you." So you read the book, learn more about diabetes, follow the recommendations for getting rid of it, and long story short, your lab tests now look fine and not like someone who has diabetes, and you are not on any meds... meaning, you no longer have diabetes. 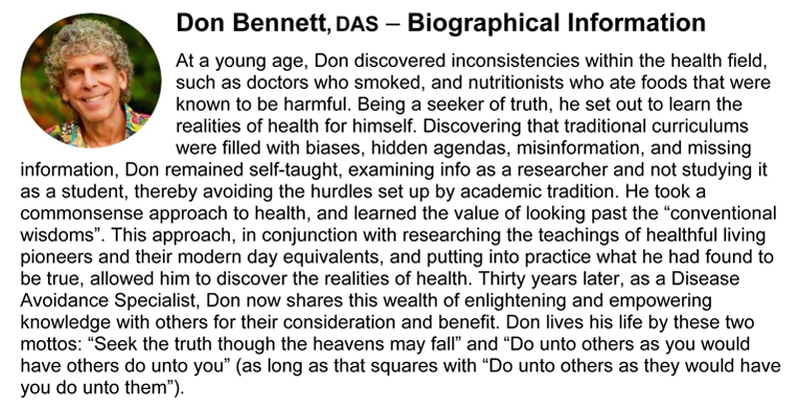 Considering that the book's author has, after their name, "DAS" and an "MD" was not able to help you get rid of diabetes, what does this say about initials that represent titles? So regardless of the initials that follow someone's name, it would be wise to vet the person's title and consider their education, remembering that traditional curriculums do not automatically mean that the person who sports that title has the best, most beneficial information. Most doctors who are MDs do not go beyond their conventional training, but a few do. Some physical therapists have gone beyond the basics of their profession and are now able to help people resolve serious disease, and some chiropractors give the appearance of doing the same, yet do not offer accurate information; a person's motivations and ethics also need to be considered. Bottom line: Some of the most knowledgeable people are self-taught, and this can be especially advantageous considering that certain health-related accredited courses-of-study contain missing information, and even misinformation. So just because there are no universities that offer a degree in Disease Avoidance, doesn't mean I'm not knowledgeable in this field. And the many people I've helped to resolve semi-serious and serious conditions would no doubt support my use of this title even though the person who gave it to me isn't a university. Outside-the-box areas of education warrant outside-the-box approaches to traditional norms. And think about this... why is disease prevention not taught to medical doctors? If you think it's because it isn't known how to prevent the most common conditions people experience today, you haven't yet done your due diligence.